Waterfall Restaurant is the perfect setting for your 24-hour dining needs. 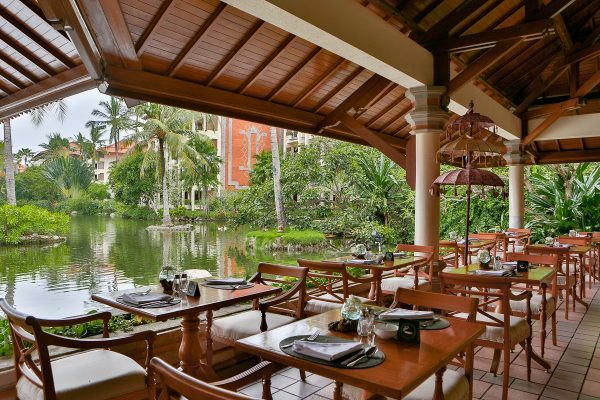 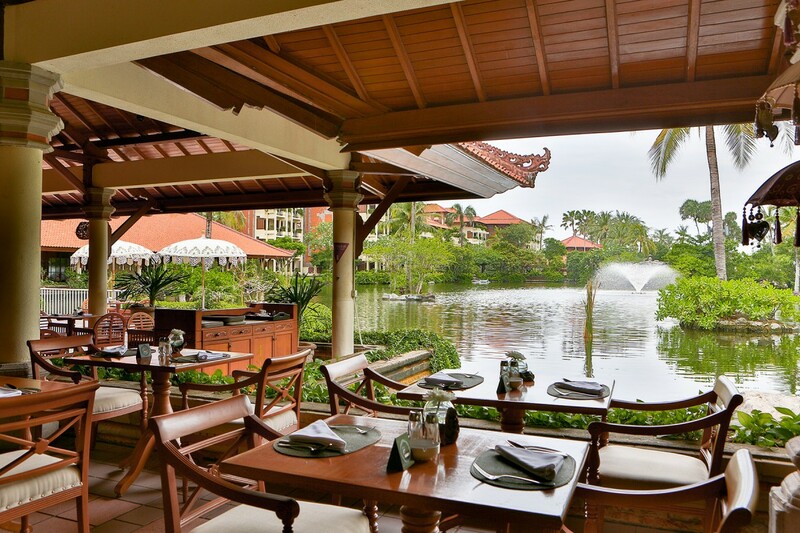 Enjoy scenic views of our serene lagoon surrounded by lush tropical gardens and charming Balinese artifacts. Be inspired by the relaxing atmosphere of Bali’s famous island lifestyle as the resort’s natural inhabitants, such as elegant swans, cheeky squirrels, humorous storks and beautiful kingfisher birds add to the excitement of your daily holiday experience. 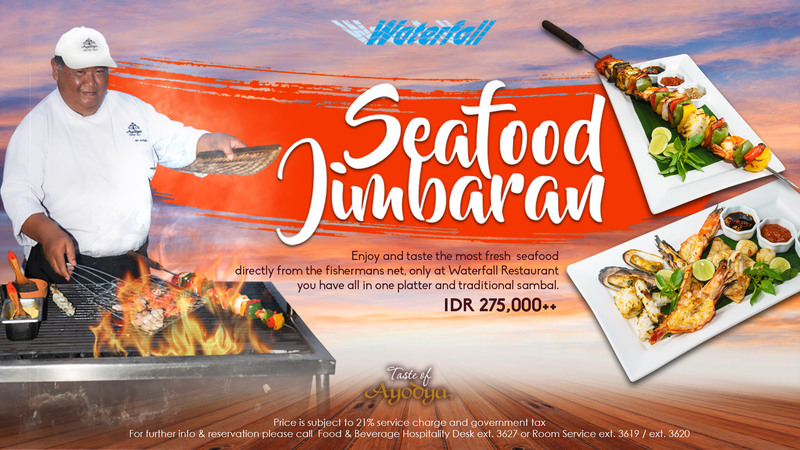 Enjoy and taste the most fresh seafood directly from the fishermans net, only at Waterfall Restaurant you have all in one platter and traditional sambal. 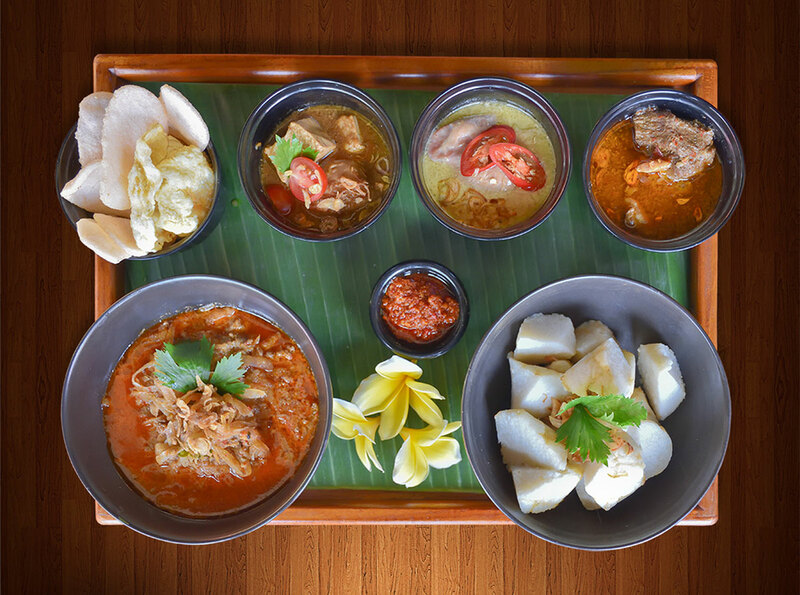 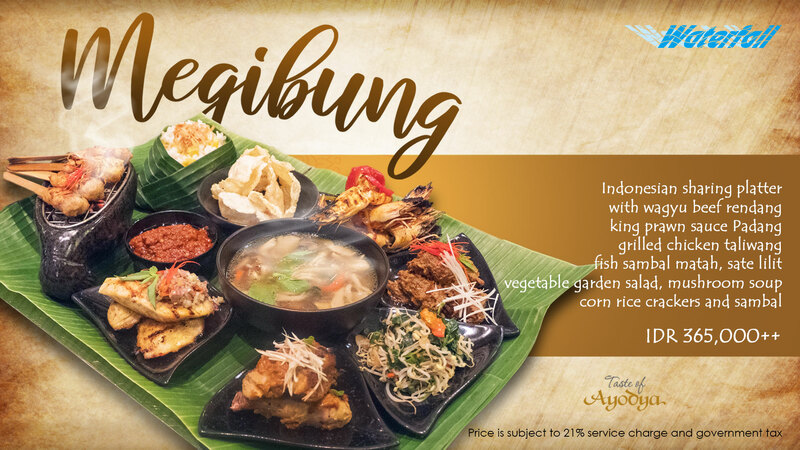 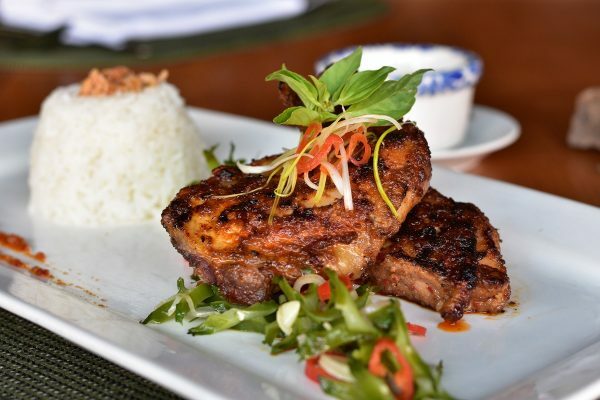 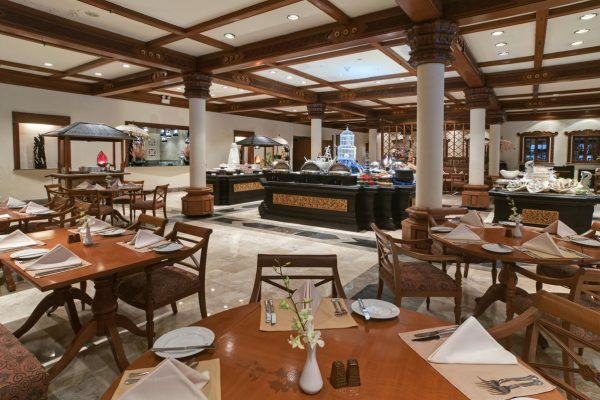 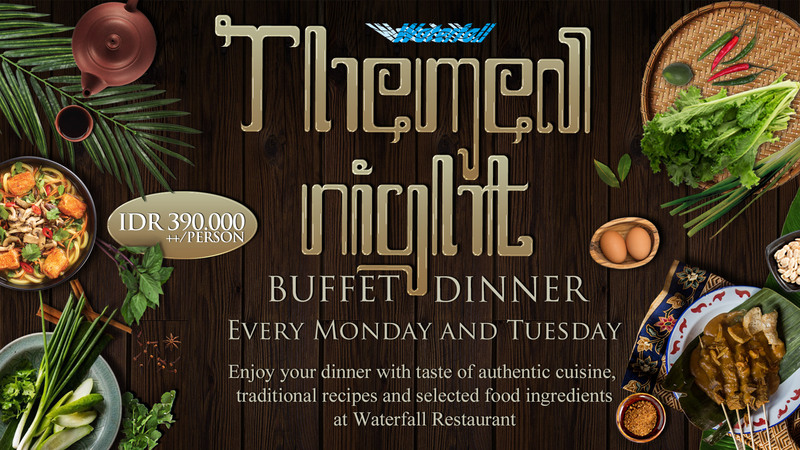 Enjoy your dinner with taste of authentic cuisine, traditional recipes and selected food ingredients at Waterfall Restaurant. 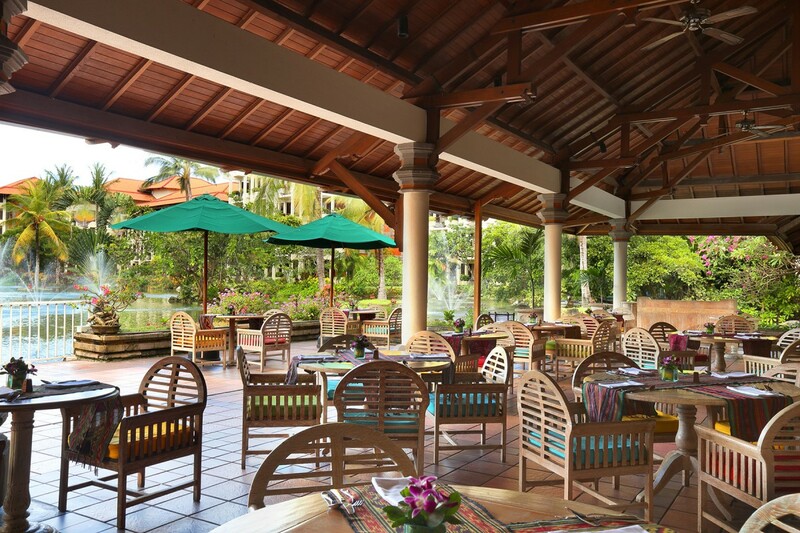 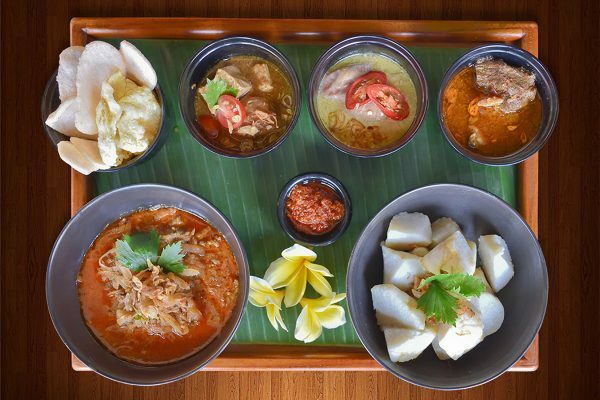 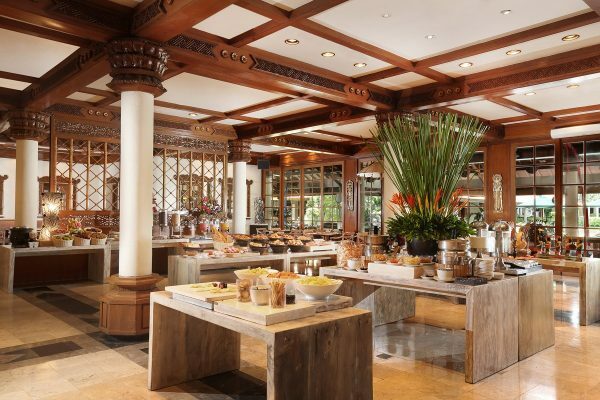 Waterfall Restaurant serves an exceptional International Buffet breakfast to kick-start each day in paradise, while during the evening, our chefs invite you to tempt your tastebuds with an unforgettable Indonesian dinner, or cuisine of your choice from five distinguished restaurants within the resort.